While Summer Sonic has been pretty consistent with a mix of popular rock, pop and dance acts, it seems like fans aren't taken by this year's edition. Headlined by Calvin Harris, it is most notably a change from last year's headliners, the venerable Radiohead. While the line-up features the aforementioned mixture of acts, it doesn't seem enough for most fans, who were already aware of the line-up when it was apparently accidentally leaked last week. The disappointment is aimed towards the festival for keeping fans waiting for the announcement despite the leak, and that pop acts like Australian group 5 Seconds Of Summer are featured on the line-up, while British rock band Kasabian will only perform at a separate festival sideshow. 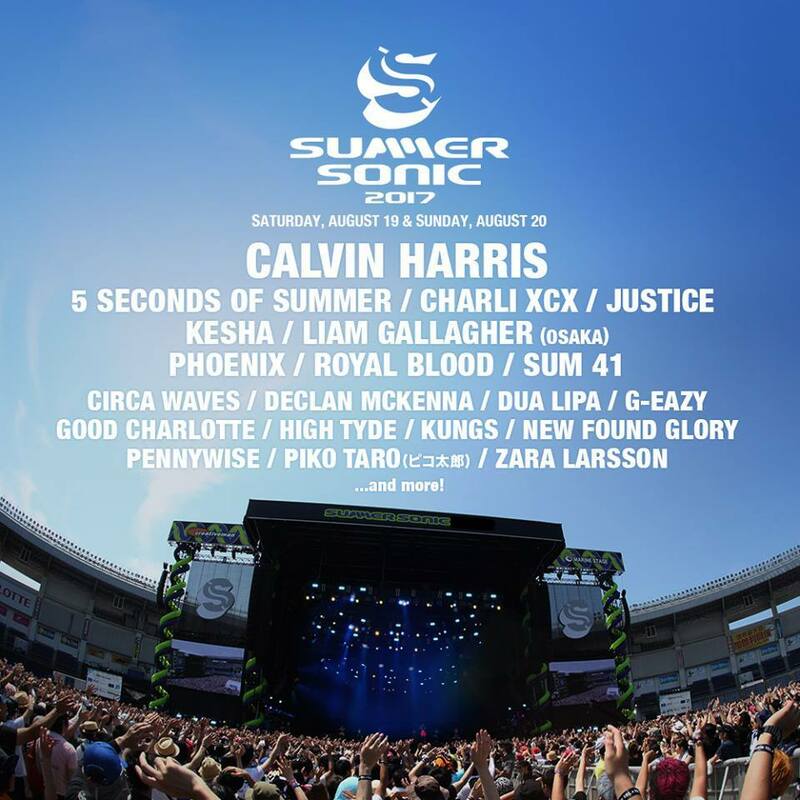 For an all-encompassing and gargantuan festival like Summer Sonic, they probably wouldn't have to worry about the negative reaction from fans, especially with big draws like Phoenix, Charli XCX, Liam Gallagher and Justice. Pop star Kesha is also making her big comeback, so this edition still has many reasons for you to go. But still, following a league of headliners over the years that include Radiohead, Arctic Monkeys, The Chemical Brothers and Metallica, choosing a DJ from a faltering dance genre isn't the best move. This might even be a hint at some of the acts who could come over to Southeast Asia for headlining shows. Our bets are on Phoenix, who are preparing their highly-anticipated sixth album, and Royal Blood, whose brand of meat-and-potatoes rock were a big attraction at Laneway Festival 2015.